(Kg): 6 Spool diameter (mm): 34 Handle length (mm): 90 Ball bearing / Number of rollers: 10 Length of winding (cm / 1 rotation): 86 Gear ratio: 8.1 Self weight (g): 190 Maximum drag force 8/1 ※ Because the date of arrival is undecided delivery date designation is not available. 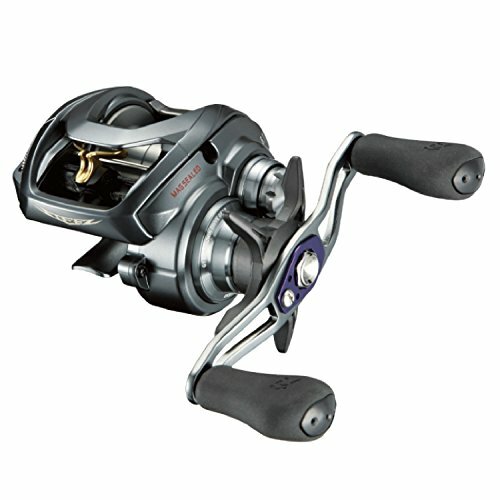 Please do not put it in the cart together with other goods (Only Daiwa reel maintenance card can be purchased at the same time). ※ Scheduled release date may be changed. Extra high speed model (striking mono specialties) added to STEEZ A TW! Fly & roll. Kashiri bait that can polish basic performance and use it tough without choosing the whole world field! ● Ultra high precision · High strength super metal housing adopted (frame · side plate · set plate made AL) ● G1 duralumin ultra high precision Φ34 mm spool loading 16 lb - 100 m line capacity ● MAGSEALED installing， high level. Includes durability up ● ATD + drag drawer click mechanism installed ● 90 mm crank handle + flatta * The images of products on display are representative images. Moreover， the color may look different from the real one. Please be forewarned. Anyway the rotation of the reel is fast!If you act a lure with high activity on a highly active Bass, it will byte with a high probability.